Beckenham Fliers Trampoline Club is a successful nationally competitive trampoline club based at Harris Academy Bromley, Beckenham. The Courses run on Fridays, Saturdays and Mondays are designed to teach trampolining to children who are enthusiastic to learn properly and safely. If space permits young children and novices start out on a recreational courses, and progress as they are ready. The children are taught at their own pace and according to their ability and aptitude, they work on Trampolining Badges which progressively improve skills and abilities. Each Course bed has a Coach and there is a maximum of 6 children to each trampoline. 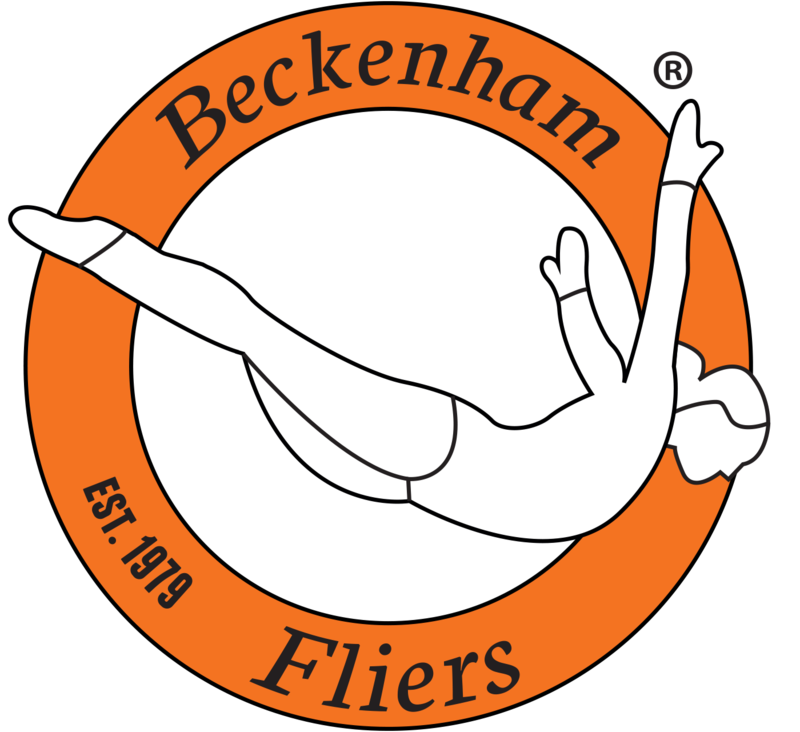 The ultimate aim of the Courses is to develop the skills of the children to such a level that they become competitive members of the Beckenham Fliers Trampoline Club. Child's Name: Child's Coach: Please select a coach...JaneRobVickyNicolaDanJakeElouiseMillie KatieSophieFlourenceGabby Child's Session: Select one...Friday 6:15 - 7:15pmSaturday 9:00 - 10:00amSaturday 10:00 - 11:00amSaturday 11:00am - 12:00pmSaturday 12:00 - 1:00pmMonday 5:00 - 6:00pm Child's British Gymnastic's Number: Child's date of birth: Parent/Guardian's Name: Address: Post Code: Parent/Guardian's Email: Parent/Guardian's Mobile: I agree to Beckenham Fliers Club Policy: click here Select one...Yes, I agree to Beckenham Fliers Club PolicyNo, I don't agree to Beckenham Fliers Club Policy GDPR: At Beckenham Fliers Trampoline Club we treat your data with the utmost respect; storing your data securely and never passing it to third partieswithout your permission first. We would like to keep you to date with latest news, competitions, training updates and much more. You can opt out at any time by emailing: info@beckenhamflierstc.com Select one...Yes I would like to be kept up to date with the latest informationNo I would not like to be kept up to date with the latest information Payment Options: Hand in cheque for £65.00 (£82.00 if you require BG membership) - Payable to Beckenham Fliers and write child’s name on the reverse. Alternatively you can pay via bank transfer- Sort code: 60-15-16 Account number: 47591900 whilst using your child’s name as your reference.